This photo stands as one of my favorites of all time. Is it forced perspective? Is it photoshopped? Nope, it’s two Lil Kennys. 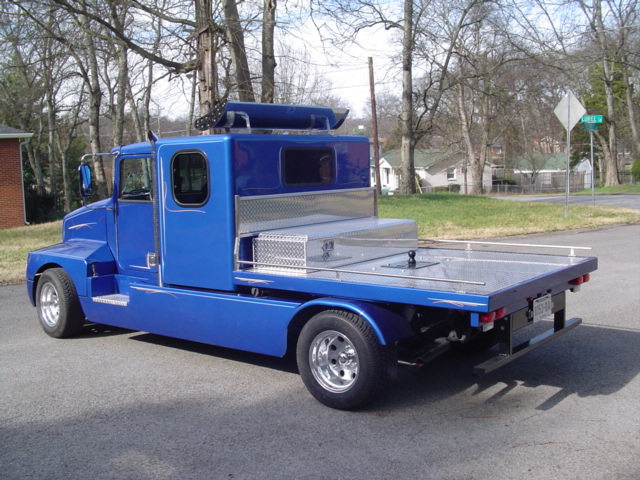 Miniature Kenworths that are commercially available to adapt to your existing pickup frame. Everyone (read: no-one) needs one. Hit the jump for more about Lil Kenny (and Lil Pete). As you can see, women gravitate to these things. They are just so full of win that you’ll be the hit of any party. You’ll be the talk of the town. Joking aside, they are surprisingly not that bad looking. I would really like to see one in person. I certainly don’t want one, but they are unique enough that I would take a good long look if I saw one out in the wild. 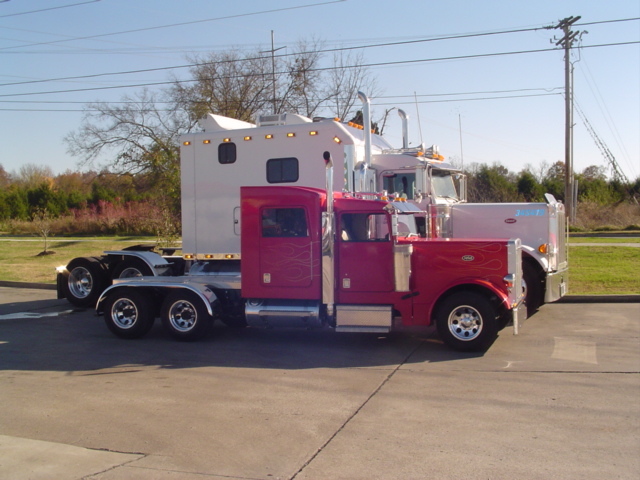 To me, the conversion doesn’t ring true without the dual rear axles, like the red truck has in the photos above. Either way, though, they are a special kind of awesome. I am priveledged to have shared them with you. If any of the commentariat has seen one or knows where one is, please tell me all about it. 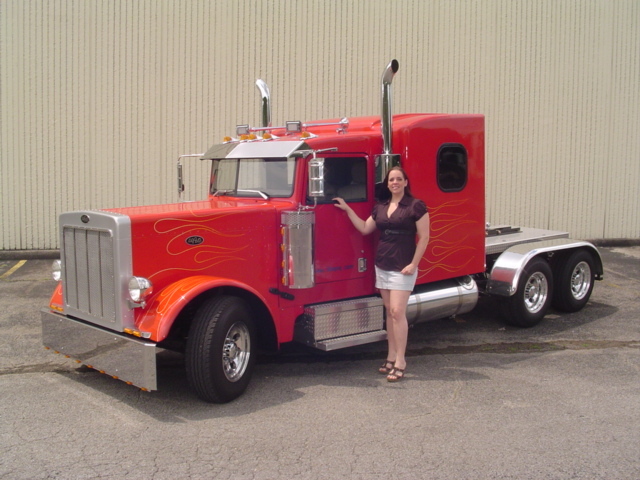 This entry was posted in Car art, Custom, Mini Trucks, Product Reviews. Bookmark the permalink. Goofy, yes. But awesome tailgate rig, especially the flatbed version? Hell yes. If I was a dumb wealthy dude, I’d pick one up. But I’m neither dumb nor wealthy, so there we are.